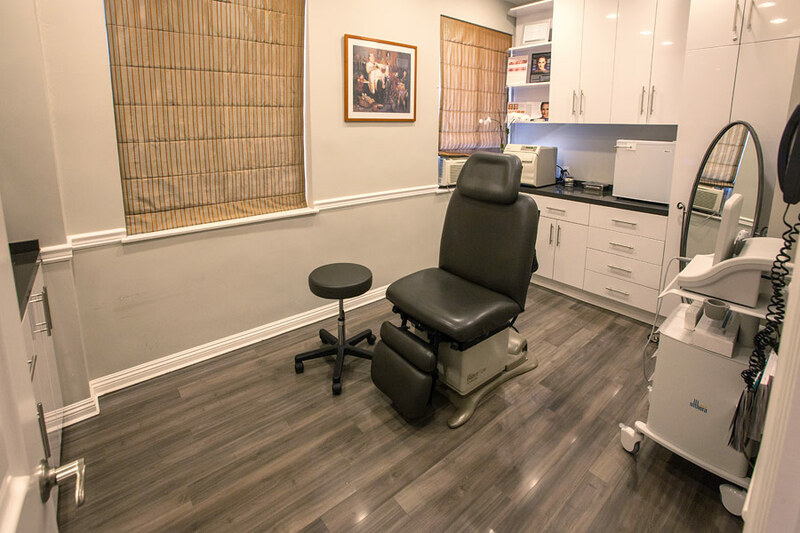 Centrally located in downtown Beverly Hills, Dr. Rahban’s private office is the perfect destination for cosmetic improvement. 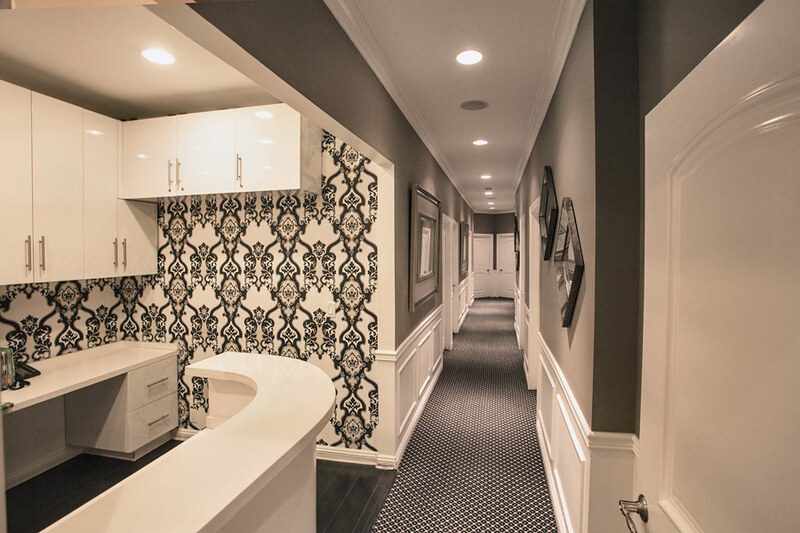 From the moment patients walk through his doors, they are struck by the gorgeous interior that still allows them total comfort in discussing their cosmetic goals. 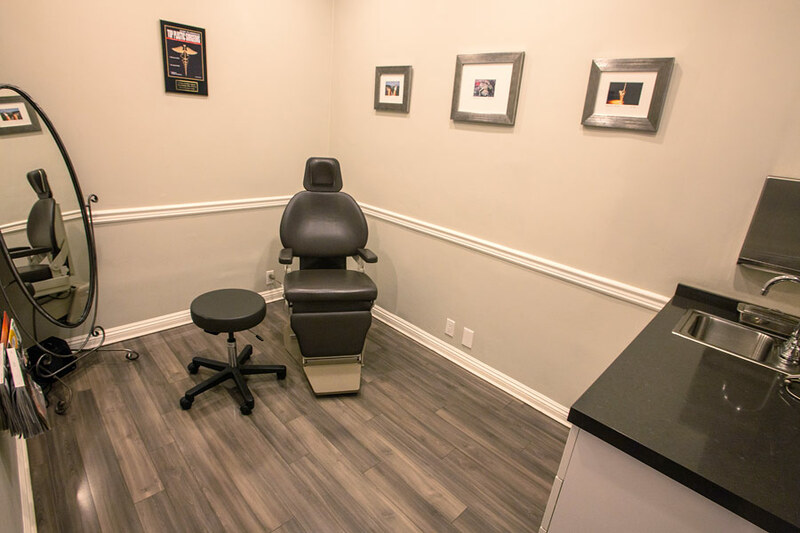 From the waiting room to the consultation rooms to the treatment areas, each component was hand-crafted by Dr. Rahban himself. In addition to all Los Angeles Mommy Makeover procedures, Dr. Rahban also provides other ancillary services, both surgical and non-surgical. You can refer to his website for a comprehensive list of all treatments that he offers in his practice. Consistent with his philosophy of providing the ultimate in care, Dr. Rahban has refrained from utilizing supportive medical providers, such as nurse injectors or physician assistants in delivering treatment or care. Instead, he personally sees all patients and delivers all in-office procedures himself, maintaining a high standard of quality across his entire panoply of services. 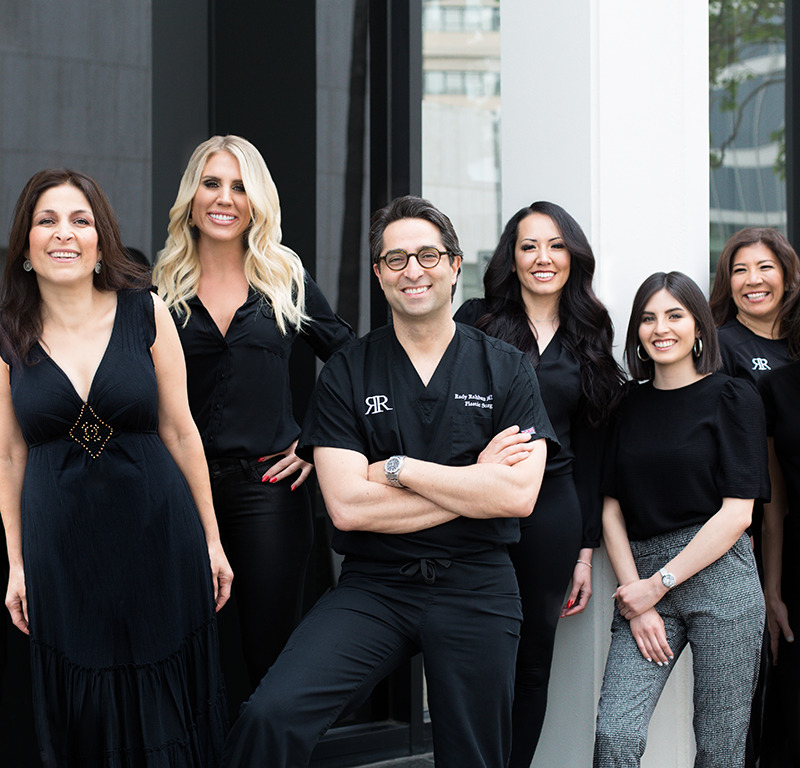 This is one of the many way Dr. Rahban ensures each one of his patients receives one of the best mommy makeovers Beverly Hills has to offer. Simply put Sally is Dr Rahban's right hand woman. She is Dr Rahban's first employee and has been with him the longest, so she knows the office front to back. Having worked essentially every position, Sally can answer all you plastic surgery questions. From the first phone call to the final day of your surgery, Sally will work tirelessly to make sure your entire experience is not only smooth but rather enjoyable. She is very knowledgeable and dedicated, making certain all your surgical needs are met in a timely, efficient and caring manner. She is loved by our patients for her compassionate and gentle approach (read our reviews as she is almost always mentioned). Oh, and she loves chocolate and her French bulldog, Desi. Maggie is one of Dr. Rahban’s patient coordinators and works alongside Sally, Dr. Rahban’s other half. She is your first point of contact as she walks you through the steps of setting up your consultation, as well as educating you on each procedure. 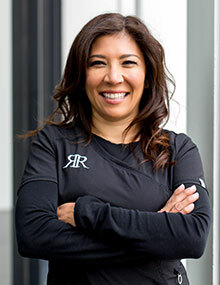 With her detailed and comprehensive knowledge, she is an extension of Dr. Rahban in giving you a wonderful overview of what to expect, so that you are educated and have an affective and worthwhile consultation. With her B.S. in Human Nutrition from the University of Kentucky, this position is the perfect fit for Maggie, as it allows her to use her background of anatomy and physiology in combination with her fascination of surgery, and passion for patient care. Outside of the office, Maggie loves doing Pure Barre, Orange Theory Fitness, going to the horse track, as Kentucky is famous for its thoroughbred horse racing, and loves cheering on her Kentucky Wildcats men’s’ basketball team. Heidi is our sensational medical assistant who works alongside Dr Rahban. She has extensive experience in the field of plastic surgery which has been further expanded by Dr Rahban's personal teachings. Her passion for plastic surgery makes her an excellent resource for patients throughout their journey. But what makes Heidi especially unique is her warm heart and genuine attitude. She is always eager to help patients and put them at ease. She helps patents in all aspects of the pre and post-operative experience. During her free time, Heidi enjoys spending time with her daughter and loves to take Zumba classes. 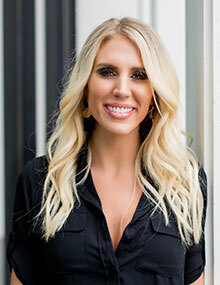 Vanessa Schindler, our nurse injector, brings years of aesthetic and nursing experience, joining Dr. Rahban in providing excellent care to all injectable patients. Meticulously trained and coached by Dr. Rahban in advanced injection techniques, Vanessa extends the consistent quality care Dr. Rahban and the practice is known for. Vanessa complements Dr. Rahban’s mastery in surgical procedures by delivering beautiful, natural-looking results using non-surgical injection techniques. Outside of work, Vanessa loves to spend time with her fiancé, Ryan and their two dogs. Together they love to hike, ski and travel. Lynn is our Registered Nurse on staff. She's been an RN for over 20 years, and in the aesthetic field the past 15 years. She has extensive experience with the latest and greatest technology's such as Ultherapy and Coolsculpting. She is a wife and mother of 2 college girls which gives her the ability to make all her patients feel well cared for. You are in good hands with her! Terry is our business manager who handles the daily ins and outs of all of our administrative and financial needs. With her years of experience as a practicing CPA, she handles our busy practice with ease and with a smile on her face. Terry is also an OCD clean freak and keeps our office sparkling clean and organized. Outside of the office, Terry and her husband have three daughters, which keep them on their toes and plenty busy. Terry also enjoys traveling and long walks with their Goldendoodle, Bailey. In plastic surgery, patients should always consider the anesthesia provider. A Mommy Makeover can take up to 10 hours, and the anesthesia provider is the person who ensures you are doing well throughout the entire process. 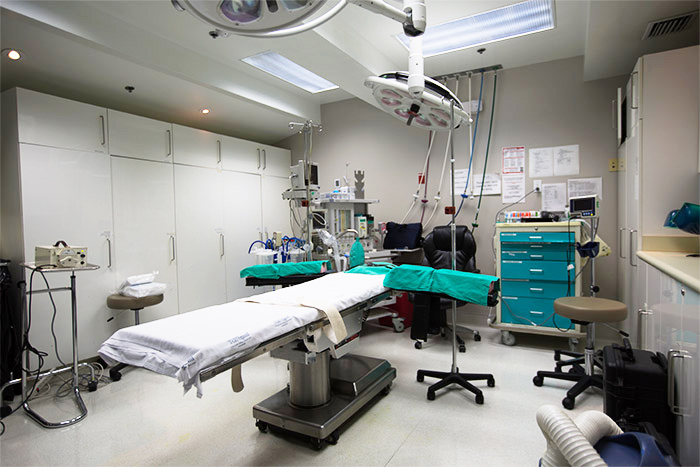 In many facilities, plastic surgeons use the anesthesiologist of the day. In stark contrast, Dr. Rahban has vetted his anesthesiologists, and remains consistent in who administers your sedation. You will never be administered sedation from a CRNA or anyone else short of a fully qualified medical doctor. In this way, Dr. Rahban ensures your safety while he provides rejuvenating treatment. 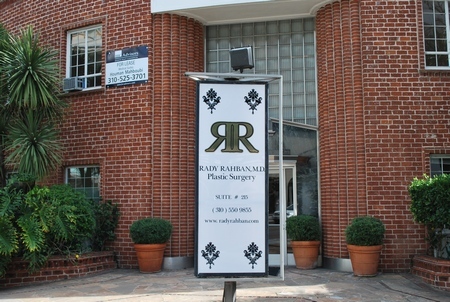 For all surgical procedures, Dr. Rahban has admitting privileges at a premier surgery center in Beverly Hills. This well-known surgery center is Medicare certified, which is the highest level of accreditation by the Accreditation Association for Ambulatory Health Care (AAAHC). This private center allows for discreet entrance and exit if desired, helping to maintain every aspect of your comfort. Dr Rahban is also on staff at the prestigious Cedar Sinai Medical Center located just down the block from the center. 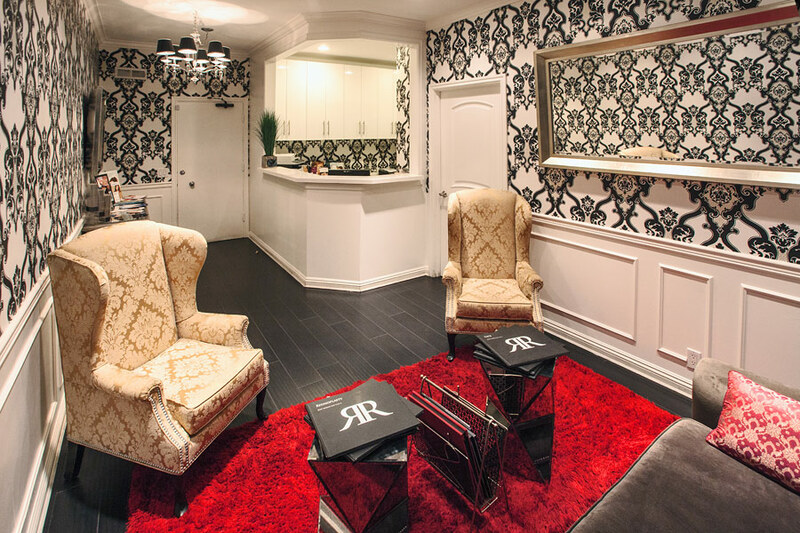 At Dr. Rahban’s practice, we don’t believe that Beverly Hills is just for the rich and famous. There’s no reason you should get less than any celebrity. Our purpose is to help every patient receive the very best in cosmetic care. As such, Dr. Rahban is a non-discerning surgeon. He treats each patient with the respect she deserves, especially while undergoing a significant cosmetic change. From preparation and recovery to the surgery itself, he and his staff are there each step of the way to ensure your physical and mental wellbeing. For out of town patients, we help facilitate the initial consultation with Dr. Rahban, eliminating the burden of flying to Beverly Hills. This allows you to see if Dr. Rahban is the best mommy makeover surgeon for you before moving forward. From the moment you decide to travel to see Dr. Rahban, our office will help with every aspect of your trip. We have an intimate understanding of travel and accommodation options and can provide complete guidance to ensure your trip is comfortable and smooth. If you live out of town and wish to see Dr. Rahban, all it takes is a phone call to his office.